College Battle of the Bands presented one of the many Textbooks & Tickets Concert Series, presented by Chegg in partnership with Live Nation and GRAMMY U in New York City at the Irving Plaza on January 29th, 2011. The night revolved around students attending from Fordham University, NYU and many other surrounding NY colleges standing on their tip toes through out the whole event. If it wasn’t the constant flow of motion between the crowds, it was definitely the energy provided by Flula Borg who hosted the concert. The event began with the performance of last year’s Battle of the Band winners, Beyond This Point and many other artists. Rent the Runway, the premier designer dress rental company, also presented a short fashion show with young models that exemplified "dress-to-impress". Was this where the heat stopped? Definitely not! It was just after the fashion show when Flula Borg announced Chiddy Bang was to perform next. 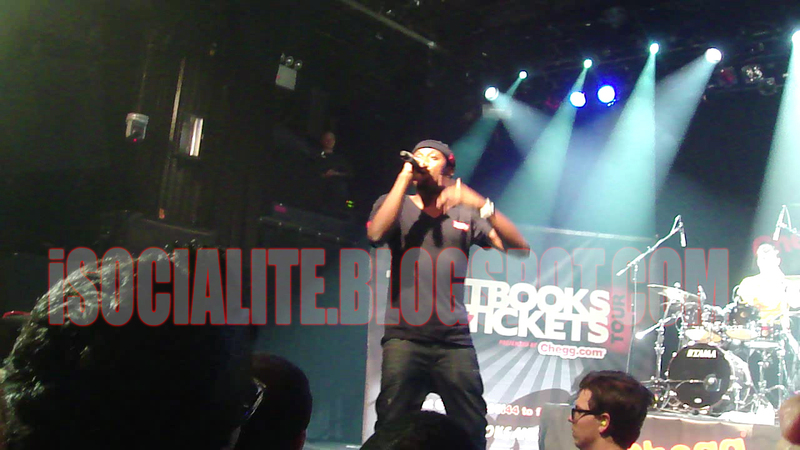 Last night was Chiddy Bang's first show in New York City for 2011; the night was fresh and heavy through out their performance. Noah “Xaphoon Jones” Beresin owned the drums and certainly bought in the BANG while Chidera “Chiddy” Anamege made it “swelly” so we could have a good night. 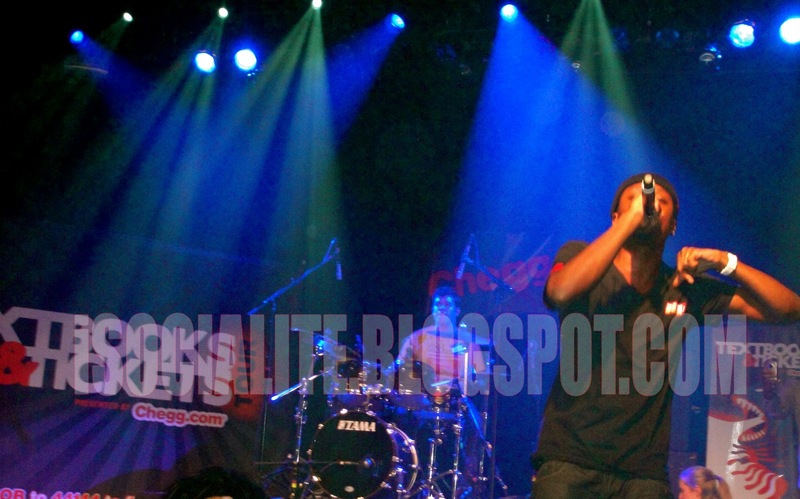 “Opposite of Adults”, “The Good Life” and songs from their mix-tape, Air Swell was performed. 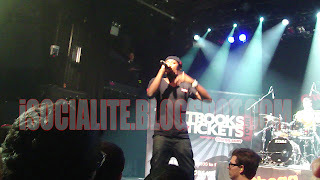 The members of the audience who attended their first Chiddy Bang concert, also witnessed the artist, Chiddy collaborate with the ideas thrown by the crowd as he proved his skill of freestyle on the stage. After the over whelming performance, the artists ended the show by calling out to some of the audience members and giving them the chance to join them up on stage. Just when it seemed the night couldn’t get any better, Chiddy Bang showed the crowd just how good it could get and closed out the show with “Never”. Shout out to all the college students, due to the rise on the cost of education, College Battle of the Bands, Chegg and Live Nation are giving students the opportunity to save money by offering this free concert, is there a catch? NO. So, what’s the plan for the weekend? Hit up their website to see which concert you might be able to attend because take it from me, a witness of one of these limited events, it was definitely poppin’ so go get your ticket as you would NOT want to miss this. The next stop for Chiddy Bang is San Francisco! Chiddy Bang Performs "Under the Sheets"
Chiddy Bang Performs "The Good Life"
Head over to www.textbooksandtickets.com for more information about the tour! Check out www.collegebattleofthebands.com as well! 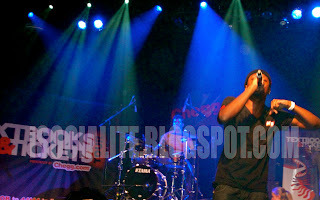 Also, for information on Chiddy Bang, visit www.chiddy-bang.com !